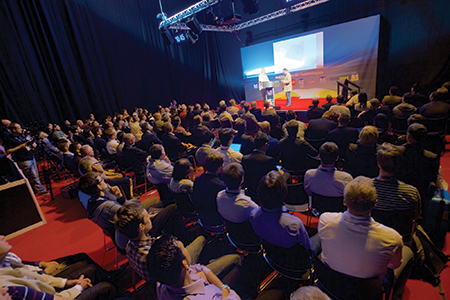 The 22nd TCT Show, September 26-28, 2017, in Birmingham, United Kingdom, features expert speakers, real-world applications and innovate technologies alongside product launches and live demonstrations—all addressing additive manufacturing (AM). Manufacturers, designers, business leaders, early adopters, innovators and investors can see the latest and greatest in AM as well as what’s coming down the pike. Among them: related processes and technologies, including CAD/CAE, CNC machining, metrology and inspection, as well as molding and casting. Also at TCT will be media partner 3D Metal Printing, with staff on-hand to walk the aisles and gather critical information on AM trends and technology. Visit us at booth A55. Like last year, an expected 8000-plus visitors from more than 40 countries will interact with nearly 300 exhibiting companies from more than 20 countries. 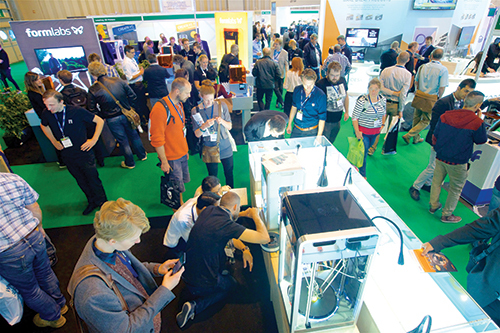 Show-floor features include Inspex, which focuses on inspection and metrology technologies, and TCT Inspired Minds, offering a hands-on experience with 3D-printing technologies for students. Back for 2017, the Start Up Zone provides an opportunity for visitors to see the next big things in AM before they go mainstream. When: Tuesday, September 26, 9:30 a.m.-5 p.m.
Wednesday, September 27, 9.30 a.m.-5 p.m. Thursday, September 28, 9.30 a.m.-4 p.m.
A major and growing component of the TCT Show is the conference and seminar track, free to attend along with the free show admission. It now takes place across three dedicated stages split into key themes. Listed below are some of the presentations. For details on these and other presentations, visit www.tctshow.com/ Content/Programme. The 2017 TCT Show features the main-stage conference venue where speakers from AM’s leading companies and R&D centers share applications and insights. Dedicated conference tracks cover the transport, medical, consumer and industrial markets. In addition, Todd Grimm, president of T.A. Grimm Associates (and contributor to 3D Metal Printing), will speak on a topic to be determined. Product Stage—This stage allows first-time exhibitors and returning companies to pitch their products and ideas in a formal setting to attendees and exhibitors wishing to learn details on new products and services. Tech Stage—This education forum offers attendees access to a series of workshops, including An Introduction to Additive Manufacturing, Health & Safety with Metal Powders, Metrology, and Product Development Lifecycle. Other events will include start-up pitches and awards, with more items being planned.